The Bold Ones did its best to appear cutting edge to TV viewers back in 1968. The times were changing as camp had run its course on network programming. Batman was out and reality was returning to the small screen as Vietnam became major story on the network news. The Bold Ones was an umbrella series that approached the subjects of cops, politicians, lawyers and doctors with a new aesthetic. They weren’t going to give audiences the expected beats of a normal drama. They wanted stories that explored real news reports. They wanted to shoot and edit the film to give episodes the same texture of documentary films. The Bold Ones: The Lawyers: The Complete Series wasn’t merely out to be an update of Perry Mason. This was a whole new courtroom drama. The series focused on the law firm of Walter Nichols (Burl Ives). He constantly hires the Darrell brothers to do his heavy work in the field. Brian (Mannix‘s Joseph Campanella) and Neil (Dead & Buried ‘s James Farentino). Nichols only takes on major cases since there’s no point in being advertised as “Bold” if you’re going to plea bargain on parking tickets. The series originally started out as two TV movies that were rather daring for the time. “The Sound of Anger” has two teenagers getting down after the Summer of Love. Problem is the parents disapprove and one dad bites the dust. “The Whole World Is Watching” busts a student radical for the murder of a campus police officer. Nichols has his work cut out since the student refuses to cooperate with his defense. Interestingly enough, the college’s chancellor is played by Hal Holbrook. He’d join the Bold Ones as The Senator in a few years. Bold Ones would get its start as a regular series in the Fall of 1969. The show continued to have a bit of edge in its caseloads. “The Crowd Pleaser” has Walter get his client a not guilty verdict in the murder of a prostitute. However the guy gets drunk at a party afterward and admits guilt. Things get worse when another man is busted for the crime. What is Walter to do? “The Rockford Riddle” is the strangest case of casting. A man’s mistress is murdered and the husband takes the fall. But later he swears he was protecting his wife. Why is this so unusual? Because the wife is played by Claudine Longet. The ex-wife of Andy Williams would shoot her skier boyfriend in 1975 and get off with a minor fine and 30 days in jail (served during weekends). She also married her defense attorney. Sadly this episode does not end with Longet getting hitched to Burl Ives. “The Verdict” has them defend a doctor accused of illegal abortions. “Panther in a Cage” has them defending the Black Panthers after a battle with the police. “The Invasion of Kevin Ireland” has Darren McGavin’s life get screwed up when the credit agency screws with his numbers. He needs a lawyer to fix everything. Amazing how this could have happened to someone before the birth of the internet. McGavin is in fine form in a pre-Kolchak role. “In Defense of Ellen McKay” has a woman on trial for killing her husband getting one of the Darrell brothers hot and steamy. This makes no sense since there’s also Lindsay Wagner on the scene. Why wouldn’t he get a charge out of the Bionic Woman? “Lisa, I Hardly Knew You” wraps up the series with Neil getting hitched. But his bride-to-be overdoses right before the ceremony. Guess her something borrowed was Keith Richards’ old stash. But is she really dead? The Bold Ones: The Lawyers keeps up the dramatic tension in the courtroom with the documentary techniques. There’s a bit more emphasis on the power of what isn’t being said in many scenes. The cast is stellar. 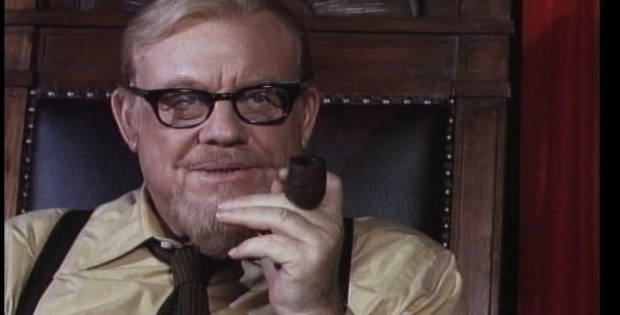 Why wasn’t Burl Ives the president of the United States? The man who ruled the screen as Big Daddy in Cat on a Hot Tin Roof and sang about that “Big Rock Candy Mountain” was America in a goatee. He looks ready to appear on money while sitting at the defendant’s table. The Lawyers ought to be part of your legal viewing docket. The last of the umbrella, The Bold Ones: The New Doctors arrives March 1, 2016. The video is 1:33:1 full frame. The transfers are a bit gritty looking which brings out the documentary feel. The audio is Dolby Digital Mono. The levels bring out the warmth of Burl Ives’ voice. What jury wouldn’t think his client was innocent? The Bold Ones: The Lawyers: The Complete Series is a legal drama that tackles the new way of life spawned by the end of the ’60s and the arrival of the ’70s.